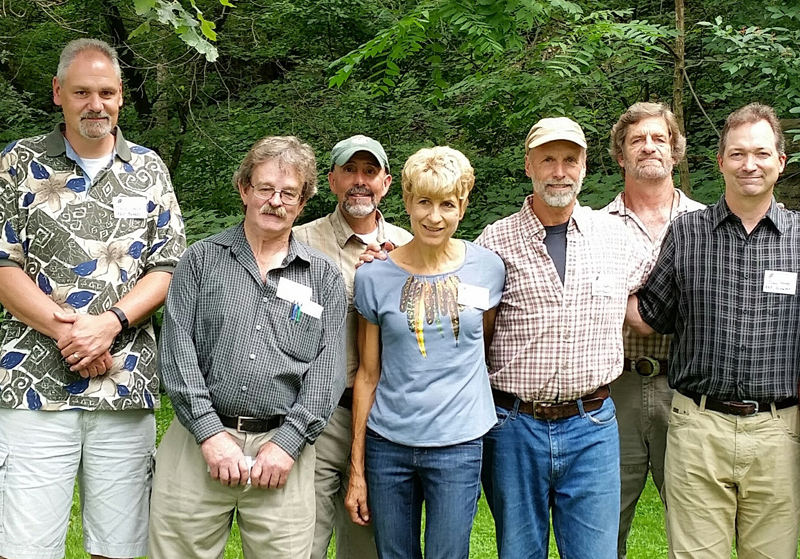 Although Bob Anderson is gone, the Raptor Resource Project is committed to continuing his work. We are dedicated to preserving and strengthening raptor populations, expanding participation in raptor conservation, fostering the next generation of preservationists, and educating people around the world about raptors and their habitats. Our board met on Saturday, August 1st, to choose a new director and add additional board members. Bob wanted John Howe to succeed him as director. 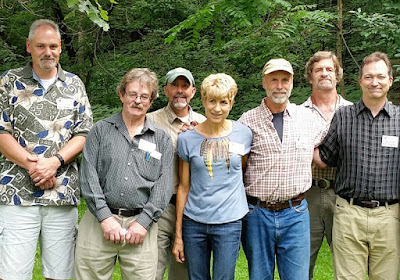 John and Bob worked together on several projects, including the falcon cam installation and HD upgrades at Great Spirit Bluff, the Decorah cams, our bald eagle cam project with the Seneca Nation of Indians, and preparation for the Philippine Eagle jungle camera. Bob was impressed by John's leadership and technical skills, his passion for using media to fascinate and motivate people, and his dedication to our mission. 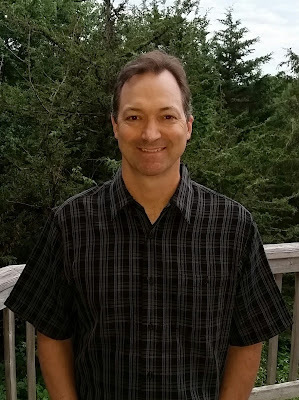 John will be a wonderful addition to the Raptor Resource Project and we welcome him as our new director. He will move Bob's legacy forward. From left to right: David Lynch, John Dingley, Dave Kester, Laura Johnson, Neil Rettig, Brett Mandernack, Director John Howe. Not pictured: Board Chair Randy Christman, board members Jim Robison and Ken Mueller. The Raptor Resource Project also added four new board members to the original five picked by Bob. Veterinarian Laura Johnson and film-maker Neil Rettig are our leads for carrying the Philippine Eagle Project forward, Dave Kester is deeply involved in our peregrine falcon banding and monitoring program, and David Lynch has been involved in a wide variety of projects, including eagle tracking, the kestrel nest box program, and social media. All nine of our board members were friends of Bob and are deeply committed to our mission. They will continue Bob's work, assuring that his vision guides us. With the passing of Bob Anderson, renowned raptor expert and advocate, Raptor Resource Project friends and fans around the world are experiencing a profound loss. I want to thank all that shared their sentiments by cards or postings, or who traveled to Decorah to celebrate the life of a truly amazing man! Bob was a visionary man, a humble man, and most of all a man with purpose. He was an intelligent scientist, an expert raptor researcher, and breeder determined to help save the Peregrine falcon after decades of DDT use brought the species to the brink of extinction. Bob spent much of his life savings on Peregrine recovery efforts. He challenged conventional ideas and developed an innovative program to release Peregrine falcons from the river bluffs where he found success in drawing the falcons back to their original nesting habitat. He pioneered and perfected bird cams through his work with Excel Energy and RRP. Bob also opened an educational window of awareness into the intimate daily lives of raptors for anyone to see, making it possible by partnering with an innovative company called Ustream. His collaborative work with cinematographer Neil Rettig led to the installation of cameras in the famous cottonwood at the fish hatchery and the world famous Decorah Eagles! What an incredible legacy Bob Anderson leaves behind, a legacy I am honored to have been chosen to move forward. Allow me to introduce myself. My name is John Howe; some of you may know me as GSBDweller. I grew up in the scenic bluffs of the Mississippi River north of La Crescent, MN along Apple Blossom Scenic Drive. Ironically, I never saw Peregrine falcons in the area growing up. In 2004, Bob approached my father about installing a nest box on our family property. He drew my father in to participate in his goal of returning falcons to this cliff that they inhabited decades ago. The nest box has attracted falcons back each year since and our family, friends, and falcon enthusiasts band the young each spring. I can’t tell you how rewarding it has been to work with Bob over the past five years. It all started with a discussion at a banding event in 2011. I commented to Bob “You have a wonderful bald eagle camera broadcasting to Ustream, but your life passion has been falcons. How would you like a falcon cam out on the bluffs of the mighty Mississippi?” Bob jumped at the chance to help my son Jonathon design and complete his Eagle Scout project. It consisted of laying 1,000 feet of conduit and cables though the woods and he and Amy Ries did the hard part of hanging across the cliff and mounting the camera and cables to the nest box. At the time, I thought - what kind of crazy people dare do this kind of work? Now, after their expert training, I have been hanging around with them! Bob was clear about his plans for the future. We are committed to bringing those plans to reality while coming to a better understanding about the unpredictability of Nature. We did not expect to lose the current Decorah cams to lightning and we sure had no idea that a storm would topple the current bald eagle nest (N2). It is interesting that Bob understood that unpredictability and we were already preparing for a backup Decorah cam location before that unfortunate event. Restoring the Decorah Eagle nest. Bob was very excited by Neil Rettig's suggestion to build a starter nest near the ruins of N2 to see if the eagles adopt it as their own. Neil will be leading this effort and it is truly a remarkable idea. Will they come if we build it? The question has implications for wildlife management far beyond the Decorah eagles. Establishing a new bald eagle nest cam in Decorah. We anticipate a September installation of cameras in a beautiful oak tree in the vicinity of one of Iowa’s treasured trout streams. There are challenges in getting this nest instrumented and “on-air”, but everything is falling into place for an new pair of eagles to introduce. Partnering with the Seneca Nation of Indians to establish a bald eagle cam at one of their active nest sites. This is a wonderful opportunity for the Seneca Nation to continue its heritage of educational outreach. This eagle cam will be hosted on RRP’s Ustream site. Establishing a live Philippine Eagle Cam at a wild nest. 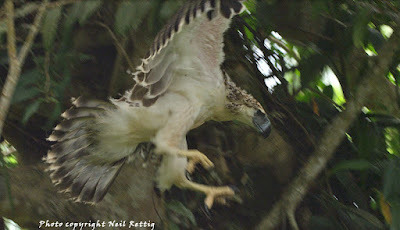 Bob’s initial RRP work with the Philippine Eagle foundation and Neil Rettig led to the installation and broadcasting of a captive eaglet produced as part of the PEF breeding program. That video footage is still posted on the RRP Ustream page. RRP is collaborating with Cornell Lab of Ornithology to install nest cams in the dwindling forest habitat of the Philippine Eagle. We are very excited about the impact this project will have in educating the Philippine people and the world about an amazing creature that is facing an uncertain future. Just like Bob’s falcon work, this project could be the catalyst for the next great conservation success! Thanks to all of you for your past and present support as we start on a very exciting year of raptor research, education, and monitoring! We will keep you posted on our progress.